Living in the Gallatin Valley, we are fortunate to have good outdoor air quality most of the time. When we do face poor air quality, it is generally associated with forest fires. While it’s hard to anticipate what each summer will bring, knowing how to protect yourself from harmful smoke puts you one step ahead in protecting yourself and your family. Below are some frequently asked questions, but if you need more information, don’t hesitate to call Gallatin City-County Environmental Health Services. What is the health threat from wildfire smoke? 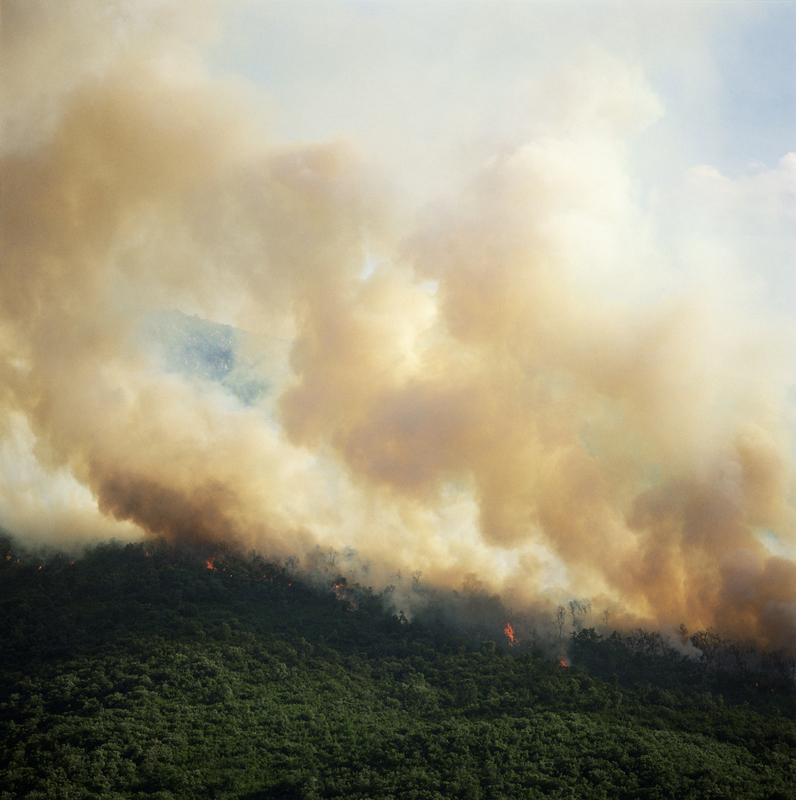 Smoke from wildfires is a mixture of gases and fine particles from burning trees and other plant materials called Particulate Matter (PM) as well as toxic gases such as carbon monoxide, carbon dioxide and nitrogen oxides. What are some common symptoms of smoke exposure? Smoke can cause irritation of the eyes, nose and throat. It can also cause headaches and worsening of allergies. People with lung diseases such as asthma or COPD, as well as people with other chronic diseases, pregnant women, and older adults are likely to experience more serious or acute symptoms. These symptoms can include shortness of breath, persistent coughing, wheezing, chest tightness, and increased mucous production. How can I protect myself and my family from the harmful effects of smoke? The best thing to do is to limit your exposure. Stay indoors whenever possible, use air conditioners instead of opening windows, utilize mechanical air cleaners, and minimize other sources of air pollution such as smoking tobacco, wood burning stoves, candles and vacuuming. Drinking lots of water can help keep your airways moist, which can reduce symptoms of scratchy throat and coughing. If you don’t have air conditioning and it’s too hot in your home, visit family members, neighbors or public buildings such as libraries, movie theaters or malls. How can you predict where the smoke will go? The behavior of smoke depends on things such as the fire’s size, location, area topography and weather. Smoke fills valleys, which is where people usually live. Smoke levels are hard to predict: a wind can clear out a valley, blow more smoke in, or fan the fires. Smoke concentrations change constantly. National Weather Service satellite photos, weather and wind forecasts, and knowledge of the area can all help in predicting how much smoke will come into an area, but predictions are rarely accurate for more than a few hours. The National Weather Service’s website has a lot of information, including satellite photos that are updated throughout the day. For the western United States, the web address is www.wrh.noaa.gov. Smoke categories range from “good” with visibility of 13.4 miles and up, to “hazardous” with visibility of 1.3 miles or less. Smoke category information can be found at http://svc.mt.gov/deq/todaysair/. Montana fire conditions are located at https://firerestrictions.us/mt/. During “very unhealthy” air quality periods, the Health Department recommends that persons most at risk for respiratory complications due to air quality concerns avoid outdoor activities. Individuals at risk include children, the elderly, and persons with known respiratory problems. Everyone else should avoid prolonged exertion. In all cases, residents are advised to error on the side of caution when going about their daily routines.